10 Trophy-Pushing Tips for Solo/Duo Showdown | Brawl Stars UP! At the time of writing, I have about ~5100 trophies, mostly from Showdowns now after 1100 3v3 victories. Personal preference, I don’t particularly like random teammates or players that it would take more games than what it’s worth to get a chemistry going. They are not bad players per se, I just don’t find myself compatible with players that always go ham when I have a more sit-and-wait mindset. Here I will provide some tips to help you in your trophy-pushing endeavors. Upon starting the match, check the players to your immediate right and left. For instance, assuming that I am playing Penny, is there a Bull or Shelly? A Leon or Colt? I better play it safe and let them have boxes I cannot get for the fact they outperform my DPS. At Level 4 Penny, it would take me 6-7 shots on a single box. At 2 seconds per reload, that is 8 more seconds to wait for my first power gem. At their power level 4-6 or so, it would be 3-4 shots that takes ~2 seconds for the first power gem. Quick maths tells me I should not necessarily fight if they challenge my second box. They are usually more interested in the box than in gunning me down. There are exceptions, naturally. Basically, get out of dodge. Always be on the defensive. Do not look to start a fight with more than 5-6 players still on the map, unless someone is causing you that much trouble! If the situation allows, join in on a firefight from a safe distance and stay close to cover. Don’t forget to have a plan! Always assume hitboxes are bigger than you think when the fire is on you, and smaller when you are firing. It is good to know your brawler’s range and missile speed as well. This is all essentially just saying to aim carefully and dodge tactically. You can save yourself the just-out-of-reach frustration that otherwise lands the kill. Unless you know for sure it will clear the box. Never face-check bushes, especially in Showdown. If you play League of Legends, or any MOBA for that matter, you know why this is a bad idea. Use your attack to check. Think of Schrodinger’s cat, but it’s a brawler instead. You won’t know the bush is occupied until you shoot or a Bull blows your face up because you were being careless or forgetful. Wait in the nearest bush after you clear your box(es) and do not move until the storm moves in as close to your bush as possible. 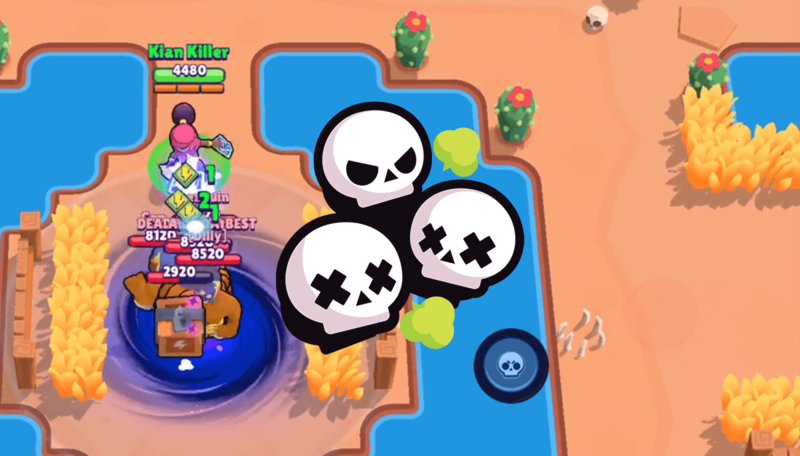 Possible exception: Let’s say you are in the southwest corner of the map, and all known brawlers (to the best of your knowledge) have migrated to the north or northwest side of the map. You can now safely slide over to the south or southeast corner. 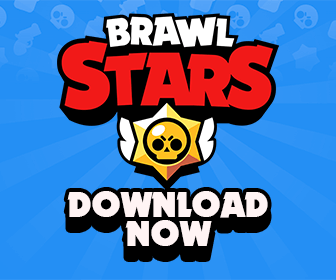 If you suspect that EVERY brawler is playing hide-and-seek (i.e. the storm is getting really small and there are 7+ players yet), slowly rotate/spiral in one direction. You want to be on the lookout for fire fights to always take down the lowest HP brawler. That is, the brawler that is running away from a chase. And if he did damage to his pursuer on his way out the door, you– being the patient ammo-saving expert you are–can take him down as well. Be on the lookout for getting sandwiched! That is, try to never be between two brawlers! You will more than likely get double teamed, even in Solo. Been there, done that! It usually does not end well unless you can use the environment to defend yourself. In a rare instance with 3-4 brawlers left, I have miraculously pulled the #1 victory with just a single cactus in that case. You will want to avoid situations like that. As an aside, if you are one of those Colt players that chase players down until they are cornered and creepily haunt them so you can mow them down, I despise you greatly and you are simultaneously a mad genius at opportune times. Stay calm. They want you to panic so it throws off your aim or you stop your healing from return fire. If you are between a wall and the storm, get out of that before it moves within 2 tiles of you. You will write your own death sentence if you don’t and will potentially lose trophies. If the wall is long, and the pursuer is a Colt for example, go to the edge of the wall. Sneak out and bait the first auto aim by quickly turning back into the wall then rush out. Use obstacles to block further shots. I don’t recommend firing while below 50% HP unless it is dire. If you are a ranged brawler, use that advantage. If you are short-ranged against a Colt in that situation, you have two options. A – you keep running away while using cover. B – you use the cover to get closer to him and eject his arrogance right out of the showdown. If you find yourself in a ring-around-the-rosie situation, you have to play it by ear. Ask yourself some questions: Does my reload time and damage output right now afford me to keep this up? Does the enemy brawler have me trapped? Can I take-off in a direction and survive? Do I accept my fate and move on to the next match (last resort)? Never underestimate a good juke and animation cancels! Hope these tips help! Until next time!